Restoration projects stall for a number of reasons, and some of these reasons are sadder than others. It’s when these projects then go from owner to owner with no further progress being made that makes them even sadder. This 1956 Thunderbird is just such a car. The original owner started the restoration, but sadly, he passed away. 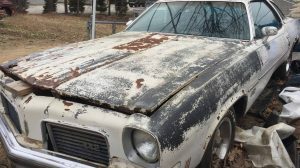 His daughter retained the car with the intent of finishing what her father started, but after 30-years without any progress, she decided to sell it. 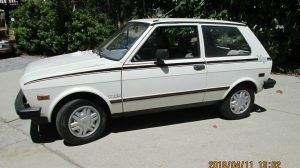 The current owner purchased the car from her, but once again, things have not progressed any further, and now he has decided to part with it. 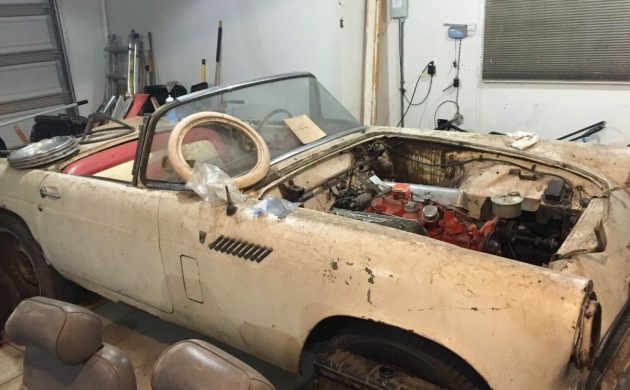 If you are the person who thinks that they can finish the job, you will find the Thunderbird located in Hartland, Michigan, and listed for sale here on eBay. 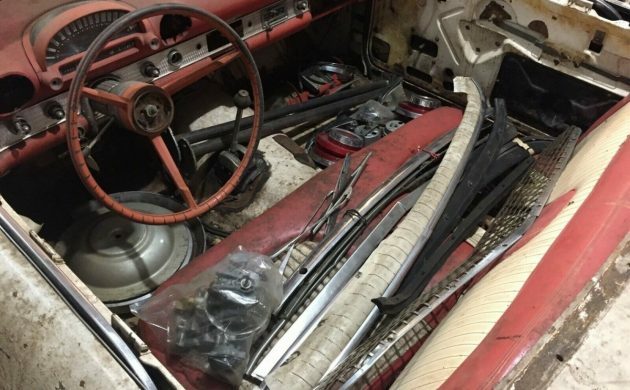 The original owner got as far as restoring the frame of the Thunderbird before he passed away. The current owner says that it looks really good and solid, so I guess that this will be the starting point. As you can see, there is some rust in the body to deal with, and it’s virtually identical on both sides of the car. Both lower quarter panels and both rockers will require replacement, but apart from one small spot in the floor, the rest of the car does appear to be solid. 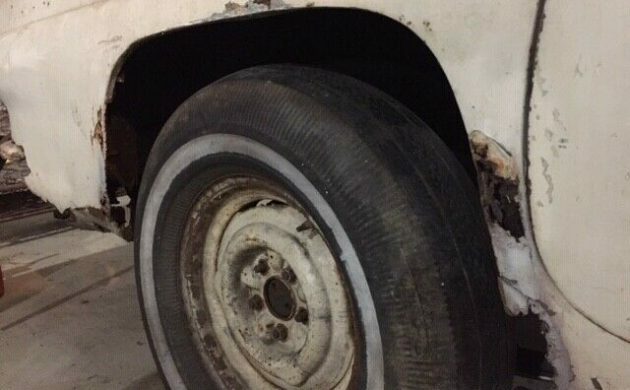 There is some surface corrosion in the floors, and some defects in the panels that will need addressing, so the best course of action would probably be to strip the car to bare metal to ascertain what is going to be needed. The body panels, chrome, and external trim are all believed to be present, and apart from the rear bumper, it’s all believed to be in good condition. 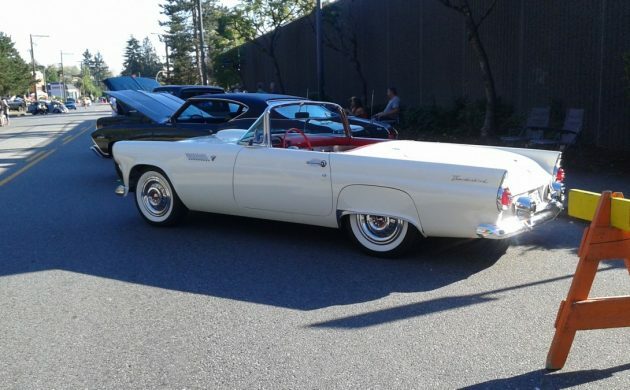 The Thunderbird does come with a hardtop that looks really good. The engine in the Thunderbird is an unknown quantity. It is the 312ci V8, which is hooked to a 2-speed Ford-O-Matic transmission. 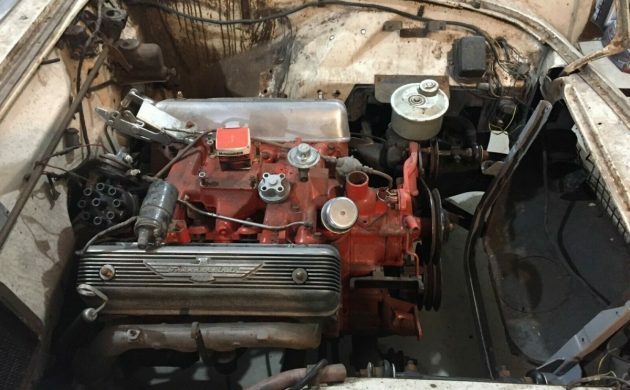 The owner believes that the engine has had some work performed, but due to the passing of the original owner, he is simply not sure. 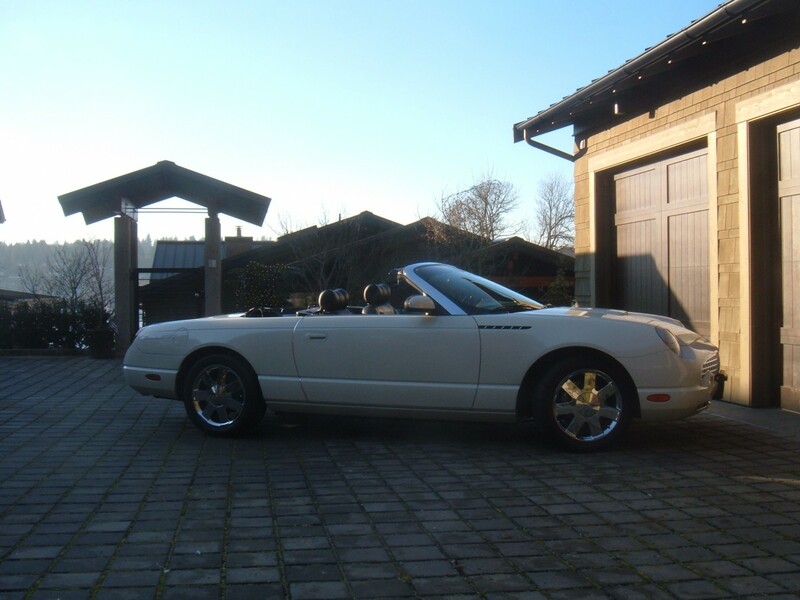 It looks quite clean, and the car also features power steering and power brakes. The owner is also including a spare transmission with the car. The interior is going to require full restoration, and in spite of how it appears in the photos, it does seem to be largely complete. Items that you can’t see but are present include the radio, the original tachometer and clock, and all of the hardware for the power windows and power seats. The car must have looked fantastic when it was new, and the white paint and red and white upholstery keep taking me back to one of my favorite movies, American Graffiti. All we need is a young Suzanne Somers behind the wheel to complete the picture. It’s always sad to see a project stall, especially when it is due to the driving force behind it passing away. To then see the project moved from pillar to post without progress makes it that bit worse. 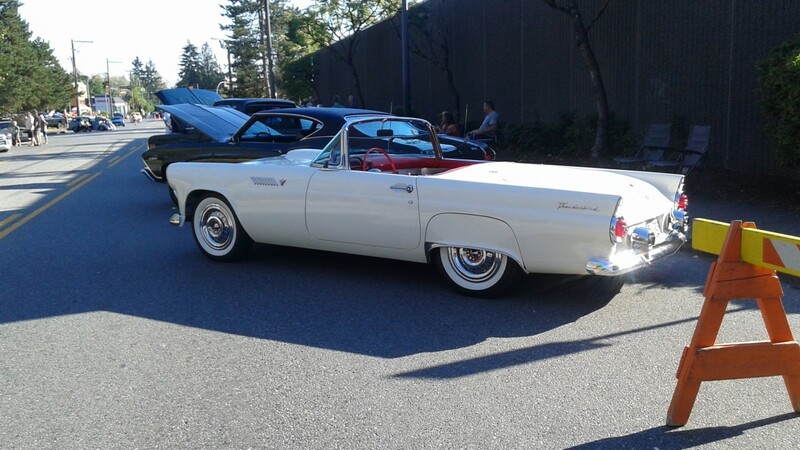 The owner has set a BIN price of $7,800 for the Thunderbird, but the option is there to make an offer. 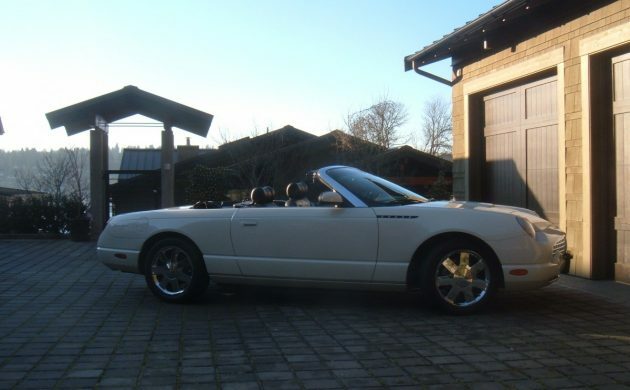 I really hope that someone buys the Thunderbird and finishes it. Now I might go and watch American Graffiti. Two place Birds are just not worth what they used to be. At $7800 I would think you would be upside down pretty quickly. Depending the amount of rot, even at $5500 the same may be true. 1955 – 57 Birds with automatics were 3 speeds but used a 2nd gear start unless you put it in low range. A real shame. Another beautiful car turned into a rust bucket by putting salt on the roads. Projects do stall. I tore apart a ‘66 912, and down the road I couldn’t bend over anymore! Wife gave me 30 days to get rid of it, or she was calling the junk man. There is another 56 in Grand Rapids, Michigan that is close to the same condition for sale. Asking $5000 with no luck so far after a few weeks on Facebook Market place . This car is just perfect for the person that lives for the ‘project’ and does everything him/her self. Even then, not sure they would pay that much for what is there. To send this car out you could easily spend $60K to end up with a nice $40K car. I sold one of these 20 years ago that was not as nice as this for $7000. Sure hope someone finishes this project. I’m actually the owner of this car. 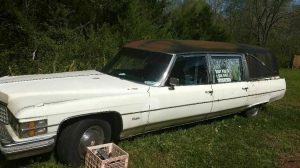 I hate to sell it, but I know it is going to sit for a while before I can get to it, so I thought I would see if someone with less on their plate was interested in taking it on. And before I forget, a hat-tip to the author, Adam Clarke, for a very fair write up on my ’56. Thank you. It is definitely a project and will require some metal work, but it’s a long ways from a basket case. Projects that can be restored are getting harder to find, and this is typical of what is out there, or worse (much worse). I had checked out the car in Grand Rapids (and a few others) before I settled on an asking price. The Grand Rapids project looked to be in similar condition and a pretty decent project as well, but there are some differences (below are a few that I noted). – The body was already off of my car and the frame had been blasted and painted, and the suspension was redone. The body is just set in place right now. – The G.R. car is a 292, not a 312. 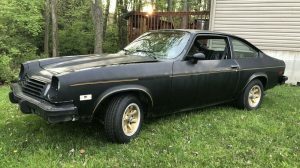 – I have the original air cleaner and original rebuilt carb. – The G.R. car doesn’t have a top. I know someone mentioned that you could spend $60k to get a $40k car when you’re done. Isn’t that pretty much true of any restoration? You either pay up front or you pay during the restoration. While I think most people appreciate the early Birds, not everyone would want to own or restore one, so the audience is more limited. And I get it’s only worth what someone is interested in paying for it, and if it doesn’t sell, it will just have to wait its turn for me to get to it. Anyhow, thanks for everyone being respectful in their comments and not trash-talking my ’56. This car’s best chance of returning to the road would be as a restomod, or as some kind of race/rally car. With clean drivers going for $30K or so, it just needs too much to be a viable restoration. Even then, the price seems optimistic. I just finished a 56 bird that was stored for 30 years. Almost guaranteed you will end up upside down in this car. But for what is there, the price is not unreasonable. But I just see another big headache. Umteen trips to Larrys Tbird some in the $2,000 range. As demonstrated by the history of this car, it’s been one pass to another. Next guy If not experienced and a couple of Master Cards could end up again in an ad. 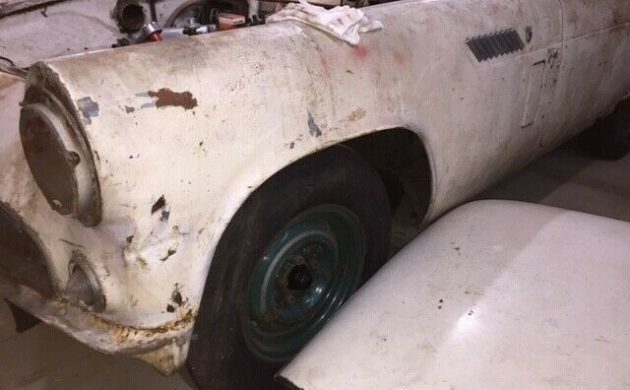 Look for a 57 Tbird in better condition is my advice.